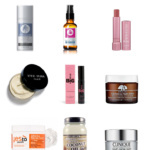 35 amazing, all-natural self care and beauty gifts for all of the the ladies on your list. From spa-worthy anti-aging facial oils and masks to fuzzy robes and reflective poetry books, these gifts will make her feel like the queen that she is! 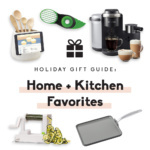 Gift guide #2 is here and it might just be the best one I’ve EVER made. I picked out 35 incredible self care gifts that your mom, sister, and best friend (or even you) will all love. 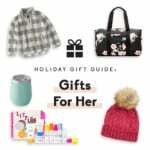 There’s something for everyone in here, and each gift is the perfect way for her to treat herself (because self care isn’t just for Sunday!) 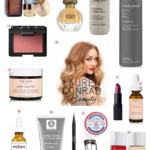 I use many of these products in my day-to-day and absolutely love them. Check them out and pick out your favorites for all of the ladies on your list. 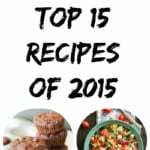 There are plenty of stocking stuffer ideas in here, too, that she’ll love. Enjoy, xo! 3. Seed Phytonutrients Conditioner: the must-have, silky smooth companion of the Seed shampoo. Seriously it works (even on my platinum blonde hair). $24 Get the shampoo + conditioner mini duo (perfect for traveling!) with the code MONIQUE10 for 10% off and free shipping here! 13. Primally Pure Everything Spray: this spray literally does everything. She can use it as a facial toner, to prevent ingrown hairs, and even spray it on towels or pillow cases for a little refresh! LOVE IT. $18 Use the code ‘AMBITIOUS’ for 10% off your first Primally Pure order! 20. Primally Pure Starter Kit: the best gift for someone who wants to start using all-natural beauty products. The starter kit comes with all of the goods: deodorant, everything spray, lip balms, and body butter. $48 Use the code ‘AMBITIOUS’ for 10% off your first Primally Pure order! 23. Primally Pure Charcoal Deodorant: the absolute best natural deodorant out there! It’s the only deodorant I own and use. Smells great, rolls on smooth, and seriously keeps you fresh (and dry) all day. $16 Use the code ‘AMBITIOUS’ for 10% off your first Primally Pure order! 29. Primally Pure Spa Kit: everything she needs for a fancy spa bath right at home. These soaks make your skin feel amazing! $48 Use the code ‘AMBITIOUS’ for 10% off your first Primally Pure order! 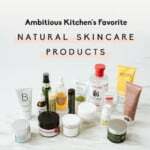 8 Responses to "AK Gift Guide 2018: Self Care & Natural Beauty Gifts"
How fun are all of these!! I bet that coconut oil body polish smells SO good! 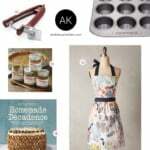 A nice gift guide and I use Primally Pure products. Have you tried Tula? I love their face serum and face cleanser.